'When it came to recreating visions of Robben Island, I needed to share this rich experience of culture which to me has a very special meaning. When I initially did the sketches in black chalk the images looked quite bleak. I then thought that it should be a celebration and introduced the bright and cheery colours which I understand have become a new art form and I hope that it will give you as much pleasure as I have had in creating these images." Nelson Mandela, February 2003, Artwork launch on Robben Island Belgravia Gallery is deeply honoured to be associated with the launch and sale of Original Signed Lithographs by Nelson Mandela. The work themselves are amazing - fresh, bright, well drawn, iconic symbols of the struggle in South Africa and the triumph over the tyranny of the apartheid years. They are also unique, historic and extraordinary. It is always fascinating to see art drawn by someone known in a different context. Winston Churchill was, like Mandela, a significant writer: he also became a noted painter.... In May 2002, Nelson Mandela began a series of sketches with the subject Robben Island. In the company of a skilled photographer, Grant Warren, he revisited the island, scene of some of his most painful years with its cruel repressive regime. Images of his cell, Table Mountain from the beach, the lighthouse, church, quarry, guard towers and many other scenes were photographed. At his home, under the watchful eye of his art teacher Varenka Paschke, a young South African artist, he quickly adapted from being a world leader to a budding artist. Varenka told me she guided her student providing assistance with the basic composition of the sketches and method of the colour applications. 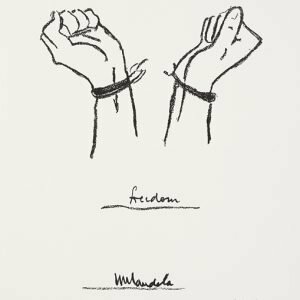 Nelson Mandela completed over 20 sketches that include images he found meaningful, both symbolically and emotionally, during the period of his incarceration on the island. The works were completed in a series of colour separations, first the strong black crayon lines providing the guide, then he selected colourful shades for each image. It is interesting to note that he completed no final original piece, only a series of separations which, when overlaid, create the final picture. 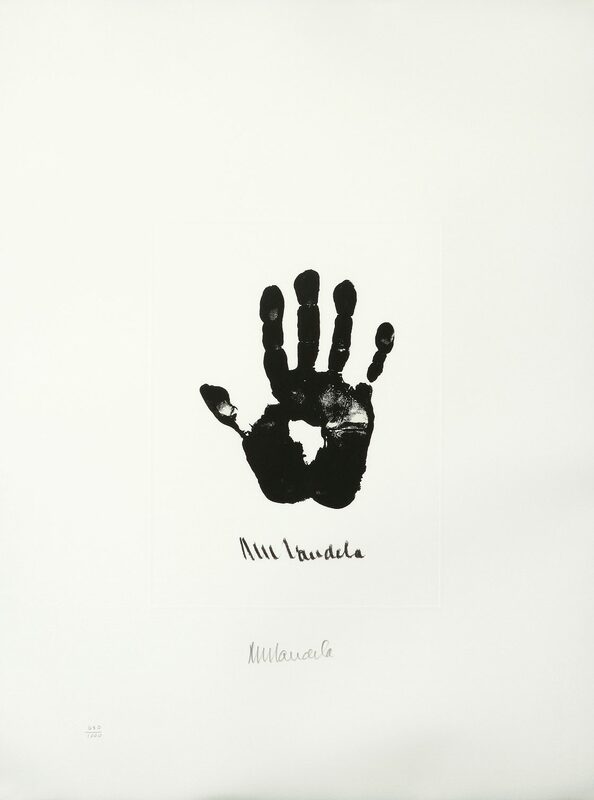 The five editions were signed individually by Mr Mandela - each of the pieces with a generous and carefully drawn signature. 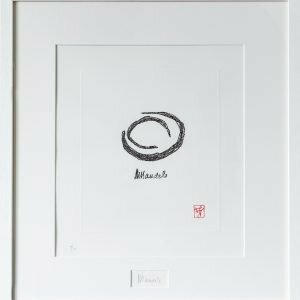 His artist's motivations written in his characteristic neat handwriting, offer an insight into the thoughts behind the colour images he created. Possibly the most interesting- certainly the one which caused the most media attention was 'The Window'- not because it has a view of Table Mountain- inaccurately described in one newspaper as the view from Mandela's cell, but because it is so imaginative, with brilliant colour and composition. The eye is drawn to the screws around the metal window frame: how often he must have contemplated them. Asking him about the strong orange and maroon colours in 'The Window', he told us "That window, you know, was actually a window to the world, because I could see quite a lot. I could see my mental horizons expand".